It’s nearly a week since T’G, but the coughing and sneezing are getting worse, so that oversized pot of turkey broth, which has been smelling so fabulous every day that it gets put back on the back burner and brought to a boil, is strained and defatted. Now it’s going to good use. Of course, just sipping hot broth does the body a world of comfort – it clears the head and soothes the stomach and makes you want to lie down on the couch in front of the woodstove and go to sleep even when “Good Wife” reruns are on. But what if you added some of that leftover turkey? It’s going fast – the healthy are still into making sandwiches and enchiladas. And maybe a bit of rice? That’s left over from the rice and beans we had on Saturday night. 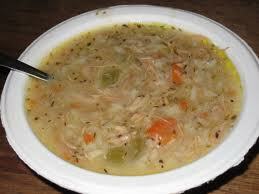 Of course no self-respecting turkey soup is complete without the trinity – carrots, onions, celery. And the finishing touch? The magic that makes it special for the flu-ridden? Lemon juice. Aaaahhhhh. SO good it makes me want to get sick just so I can have it all to myself. Heat olive oil in a large pan; add onions, carrots, celery, red pepper flakes. Cover and let simmer 10-15 minutes until vegetables are soft but not brown. Add broth; bring to a simmer. Add turkey and rice. Simmer 15 minutes; add lemon juice, salt, pepper. Taste for seasoning. 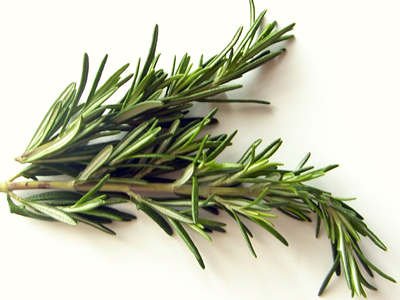 Go crazy — add rosemary, wild rice, garnish with parsley, eat with parmesan chips, make a meal of it. This entry was posted in Main Courses, Recipes, Recipes from Adrienne's pantry, Soups and tagged broth, lemon, Onions, parsley, rice, soup, turkey. Bookmark the permalink. Makes the house smell great, doesn’t it?